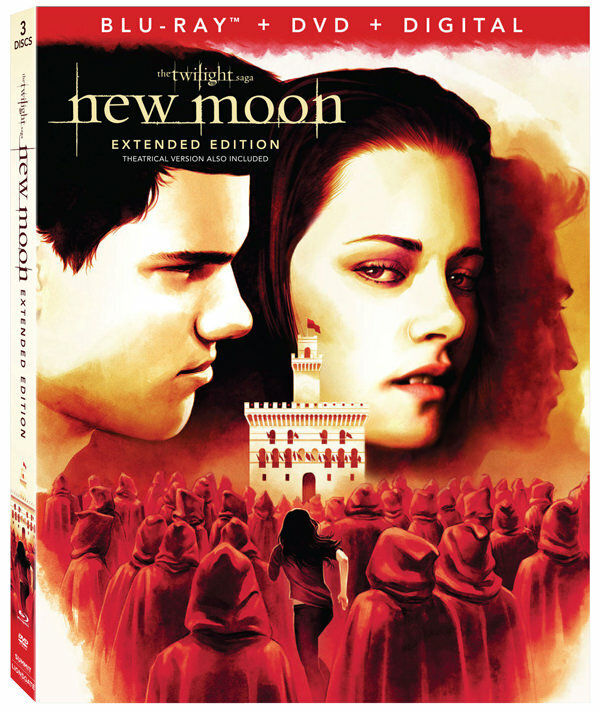 Based on the beloved book series by Stephenie Meyer, and one of the most successful feature film franchises of all time with over $3.3 billion in box office, celebrate the tenth anniversary of Twilight’s theatrical debut with the release of Twilight on 4K Ultra HD Combo Pack (plus Blu-ray and Digital) and all five of The Twilight Saga films on Blu-ray Combo Pack (2 Blu-rays, 1 DVD, plus Digital) and Digital 4K Ultra HD on October 23 from Lionsgate’s Summit Entertainment. Directed by Catherine Hardwicke from a screenplay by Melissa Rosenberg, Robert Pattinson and Kristen Stewart star as the iconic couple Edward and Bella alongside Taylor Lautner, Anna Kendrick, Billy Burke, Peter Facinelli, Nikki Reed, Jackson Rathbone, and Kellan Lutz. Plot Synopsis: Bella Swan (Stewart) doesn’t expect much when she moves to the small town of Forks, Washington, until she meets the mysterious and handsome Edward Cullen (Pattinson) — a boy who’s hiding a dark secret: he’s a vampire. As their worlds and hearts collide, Edward must battle the bloodlust raging inside him as well as a coterie of undead that would make Bella their prey. 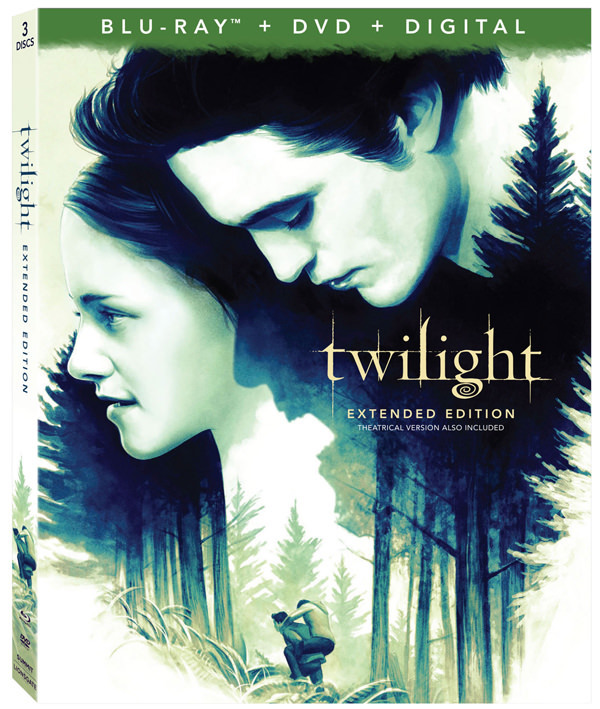 The Twilight 4K Ultra HD Combo Pack includes hours of in-depth special features and includes a brand-new, never-before-seen featurette, “Twilight Tour…10 Years Later,” which follows director Catherine Hardwick and actor Jackson Rathbone through memorable sets from the film. Experience The Twilight Saga in four times the resolution of full HD with the Twilight 4K Ultra HD Combo Pack and all five films on Digital 4K Ultra HD, which includes Dolby Vision HDR to bring the epic romance to life through ultra-vivid picture quality. When compared to a standard picture, Dolby Vison can deliver spectacular colors never before seen on the screen, highlights that are up to 40 times brighter, and blacks that are 10 times darker. The release also features Dolby Atmos audio mixed specifically for the home to place and move audio anywhere in the room, including overhead. 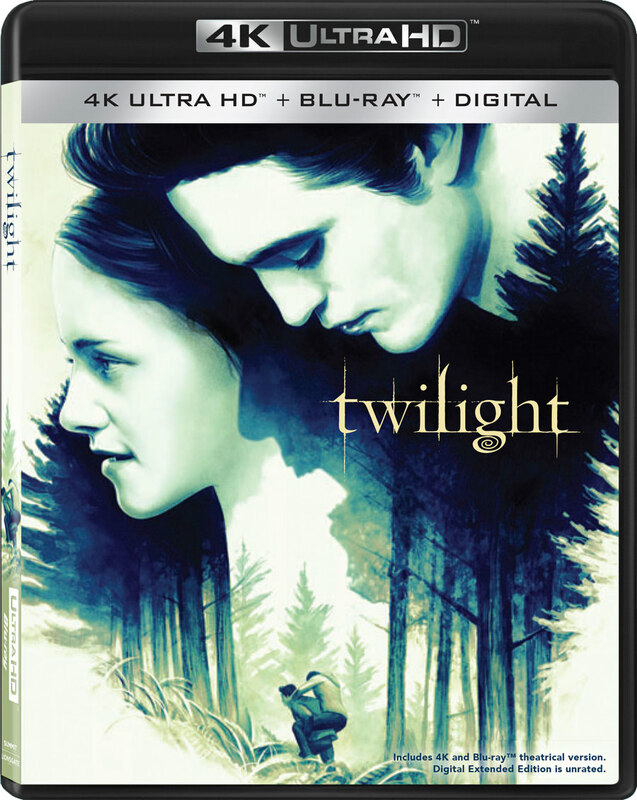 TheTwilight 4K Ultra HD Combo Pack will be available for the suggested retail price of $22.99. All five of the Blu-ray Combo Packs feature new unique box art designs from renowned illustrator Justin Erikson, who brings to life the epic saga with his distinct illustrations. 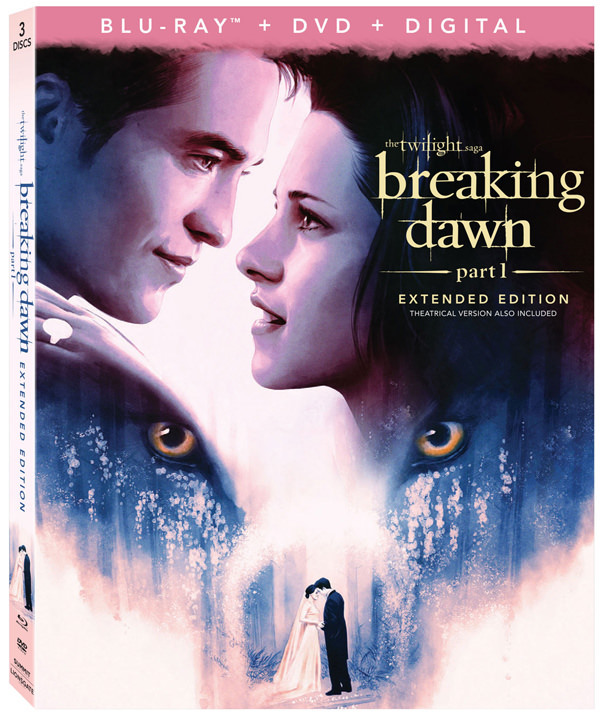 Whether you are Team Edward or Team Jacob, take home all five of the Blu-ray Combo Packs and own the entire collection plus hours of special features including deleted scenes, character featurettes, cast interviews, music videos and more. 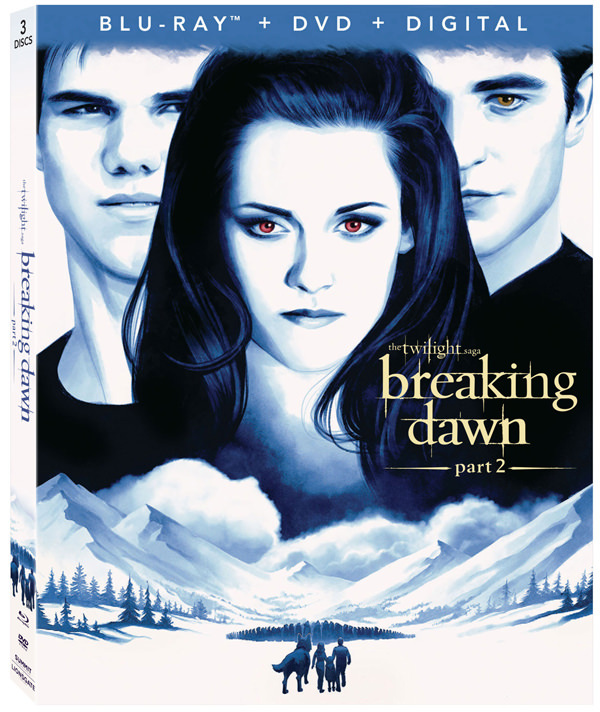 For additional value, Twilight,New Moon, Eclipse, and Breaking Dawn – Part 1 also include both the Theatrical and the Extended versions of the film for the ultimate fan-viewing experience. 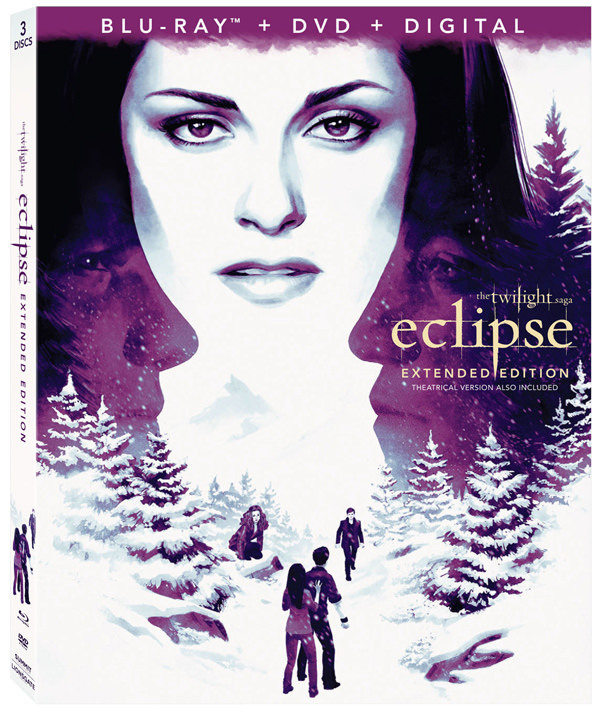 Each of The Twilight Saga Blu-ray Combo Packs will be available for the suggested retail price of $14.99.